Hi from the Kapwing team! Team Kapwing is a small, engineering-heavy team. We're scrappy and creative, and we love launching random things for fun (check out Cartoonify!). Everyone does a bit of everything, from operations to supporting our customers, and we're all interested in learning and applying the latest web technologies. We love the creators who use our product and embrace pop culture, design, music, and media trends. We order lunch together, play card games (Coup) every day, go on spontaneous offsites, and have happy hour on Fridays. We’re also a seed-stage startup backed by top Silicon Valley VCs. We raised $1.7m in July 2018 and have tripled in size (usage, MRR) since then. We’re growing our San Francisco-based team. Read more about Kapwing in TechCrunch. And we're hiring! If you're an entrepreneurial creator, we'd love for you to consider joining Kapwing. Eric and I built and grew Kapwing ourselves, so we value a culture of bootstrapping, storytelling, and hustle over grandiose visions and egos. Thanks for reading and we hope to connect soon! Why should I work at Kapwing? Two reasons: growth potential and a love for digital media. Kapwing is small now, but we're reimagining how people tell stories, entertain, and create community online. We believe that, if we do our jobs, Kapwing will have a huge impact on culture and connection. Kapwing makes creative tools much cheaper, faster, and more accessible, enabling anyone to record and share a message with the world. Kapwing is popular among non-profits, schools, indie musicians, and other groups who can't afford to hire an expenesive video editing agency. Come work with us if you're excited about that mission and belive in our ability to execute on it. What roles are you hiring for? We are currently hiring for the following roles. Job descriptions linked! Growth Lead - A strategic hustler who can run our marketing and expansion efforts. Full Stack Engineer - A hungry programmer with a sense for growth, product design, and web development. Content Creator - A passionate, prolific writer and editor who loves social media and creative professionals. It doesn't matter if you aren't the perfect fit for our job descriptions - if you're hard working, scrappy, and are interested in working at a startup, then we want to chat. You can contact us directly by emailing hello [at] kapwing [dot] com. Why did you start Kapwing? 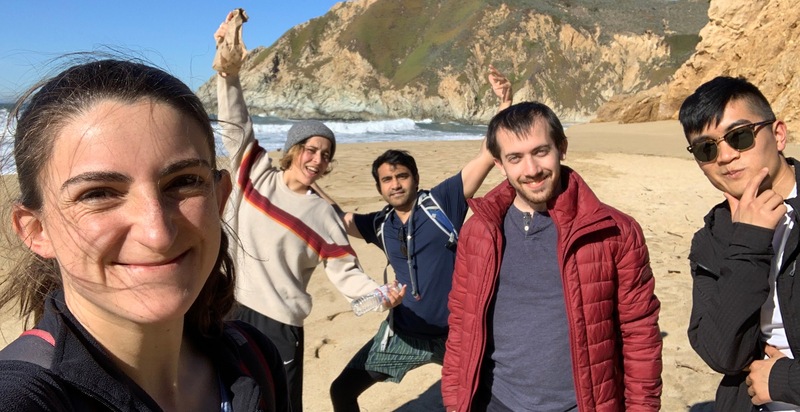 Julia and Eric started Kapwing after working as Product Managers at Google and experiencing how slow and difficult leading video editing software is for simple, modern tasks. We wanted to build a photo and video editor that would work for us and for anyone who doesn't have a film school degree, so we founded Kapwing with a strong design and UX focus. Yes, we're a legit company with half a million users, thousands of paying customers, and top investors, including KPCB, ZhenFund, and Shasta. We provide healthcare, free lunch, fun offsites, and competitive salaries. We currently work out of an office in SOMA in San Francisco. Kapwing is a web platform for editing video and images. We think a lot about performance (how can we process images quickly on remote servers? ), creative power (what cool new tools will expand expressivness of digital media? ), and workflow innovation (redesigning productivity tasks using AI and better UX). We're also building a collaborative platform for teams to work together on the same Project remotely, breakind down the silos that exist for traditional video editing programs. What is your take on D&I? We want to build a different kind of tech company, one that values grassroots diversity and inclusion in both culture and product design. D&I makes our team stronger and more empathetic and is imperative for our product, which serves a very diverse set of creative users. Our team includes a female CEO, a dad, a Canadian and Israeli, a Texan, two first-gens, and diversity across a bunch of other dimensions. We want to find people that appreciate a culture of inclusion. Can you share more about your tech stack? We run a modern tech stack that uses React and Node for our frontend. Our backend, which handles video processing, is a combination of Python and Node. Our hiring process has a few steps. First, there's a short casual phone conversation with our CEO. Then, we hope you'll visit the office to meet the team and do a behavioral interview about your experience. Finally, we like to set up a small contract project that we will complete in tandem. We will pay you for your time, and in the end, these projects get launched to production. We've found that this is a lower-stress process that more accurately provides insight into what it would be like to work together, and we prefer it over questions on a whiteboard. To get in touch, just send us an email at hello [at] kapwing [dot] com with some basic details about yourself and your experience, and anything else that you might wish to include!